For any business owner today the power of word of mouth – referrals – is still huge. Yes, you should be using online marketing and other forms of direct marketing to build a customer base. Still, nothing is quite as convincing to us as a friend or family member who we trust recommending a product/service. Read all the reviews that you like to help inform and empower your decision. In this article, though, we’re going to discuss the low-key power of referrals. And, we’ll be looking at how your business can start generating more. Let’s dive in. The first thing that you need to know is how to use the power of customer feedback for stronger, lasting referrals. The best thing to do is to start with a simple customer survey mailed out to as many ex-customers as you can get. Not everyone will reply, but what replies you do get will be very instructive indeed. Simply developing a series of questions ranked from 1-10 will give you all the help that you need. Basically the more people who are answering 9s and 10s to the questions, the more likely they would be to refer you. Anything from around 6-8 will be people who like your business, but not yet quite enough to refer it to someone else. The more 0-6 ratings come in, the more work you need to do to make your business worthy of a referral. We then recommend messaging and contacting all of those who got in touch with you. Using an NPS (net promoter score) survey, you can then start contacting the ones in the 9-10 range, and those in the 0-6 range. For the former, you find out what they love and enforce that, and for the latter you work on what they dislike. If you didn’t know, an NPS score is an internal rating you give to each customer to gauge how loyal each customer is to your brand. Now, you know more about the feedback you have received and what has to change to improve. We also recommend asking anyone who can give you a 9-10 rating overall if you can use their overall feedback as part of an online testimonial; it would be a surprise if they said no. For those who give the most positive and effervescent responses, contact them personally. Ask them if they would be happy to refer your business, perhaps in exchange for some form of discount upon referral. This should, done right, be very lucrative. Another aspect we want to quickly raise is the power of patience. Never expect referrals to come with the snap of a fingers. This incredibly effective solution is a great one for long-term business, but it takes a lot of time. First off, consider concentrating on building worthwhile value. Give them free content, send out releases to people when new products/services come on-board that would suit them personally. We recommend waiting as long as six months per customer before asking for a referral. We also recommend trying to get people to be more specific in who they recommend to you; the closer they are to the person, the less work you need to do to convince them. A referral from a workmate is one you’ll approach with trepidation still. Coming from a friend or family member, you are much less likely to go in with negative expectations. While this is obviously fairly general in some ways, it should be more than enough to get their creative juices flowing and have them thinking of people who you could help out. Done right, this kind of simple template can really help you to initiate some extra referrals. Just remember, your aim here is to pitch that you want to help their vendors/whoever as much as you helped them. Make sure it’s not overly pitched, and make sure it’s framed in a way that makes it obvious you merely want to help out as best as you can. Thanks again for your positive feedback on our service; it means the world to us. we are delighted that you happy with the results, and glad that we could be of assistance. Since you’re getting so much from our service, we were wondering if you can think of anyone in your niche/industry who might be interested in receiving similar assistance? We’d love to help them as we have helped you. See how simple but stupidly effective that is? It sells the story in the perfect manner. All you have to do is take the same approach. It will take some experimenting, but once you’ve found a way that works and most importantly get you business, just apply the same method and keep refining. 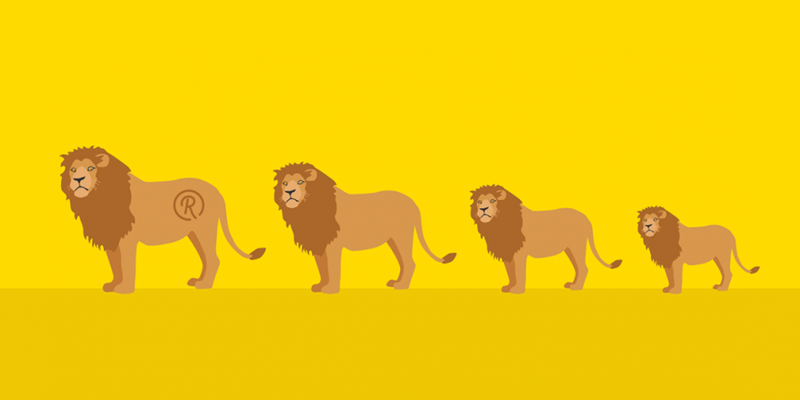 In no time you’ll go from a referral gazelle to a referral lion! The Nuts and Bolts of GDPR and How Will it Affect Your Business?